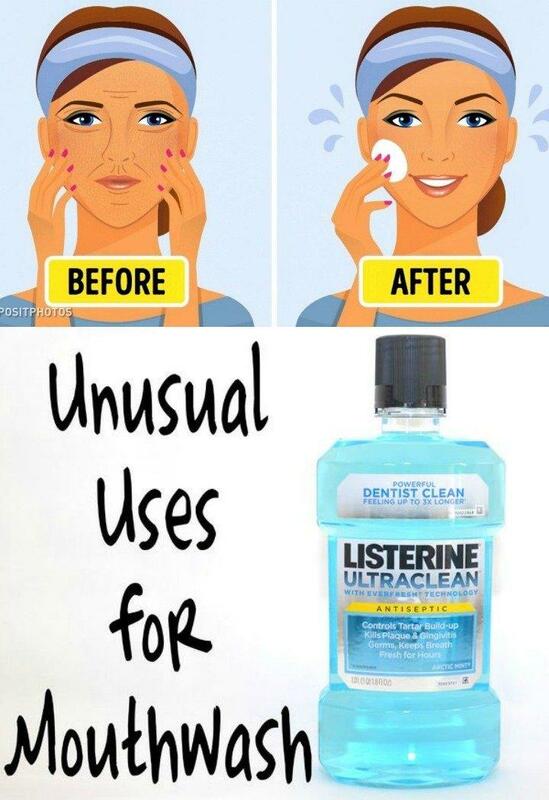 These mouthwash uses will surprise you, and you will probably find the perfect solution to a problem you had for a decade. Sometimes the solution is in front of your face, but you don’t know about it. That’s why I constantly search and share these fantastic tips and tricks with you. They are helpful and spark another way of treating the simple household items. Lots of people will find the motivation in these mouthwash uses and probably start using it for lots of different things. So, what can you do with mouthwash except keeping your mouth fresh? After cutting something that releases harmful odor, rub mouthwash into your hands to remove the smell. Mix 2 equal parts of vinegar and mouthwash. Use a cotton ball to apply it on your nails or feet 3 times a day. Before bathing, mix 1 part mouthwash with 1 part water. Wash your head with regular shampoo and after this, apply the mixture on the scalp. Let it sit for a few minutes and rinse it off with water. Use a cotton ball soaked with mouthwash on the mosquito bite area. It will reduce the swelling and itching. Use a cotton ball to apply mouthwash on your face to fight off pimples, remove excess makeup, and tone your face. Use mouthwash on the blisters of an injury or body piercing/tattoo. 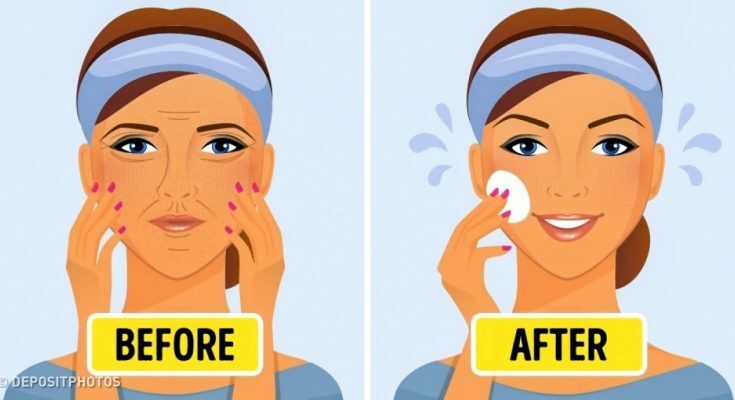 It will help the skin heal faster and prevent any possible infection. Apply some mouthwash on the affected area by using a cotton ball to save yourself from a painful bruise. If you are out of a deodorant, you can soak up a cotton ball in the mouthwash and apply into your affected areas. If you want to kill head lice effectively, use mouthwash on your hair and put on a shower cap. Leave it like that for 15-20 minutes. Rinse the hair with water. Soak up your feet in warm water and 2 or 3 caps of mouthwash. Let them sit for 15 minutes. There you have it. Do you have something similar hidden up in your sleeve?